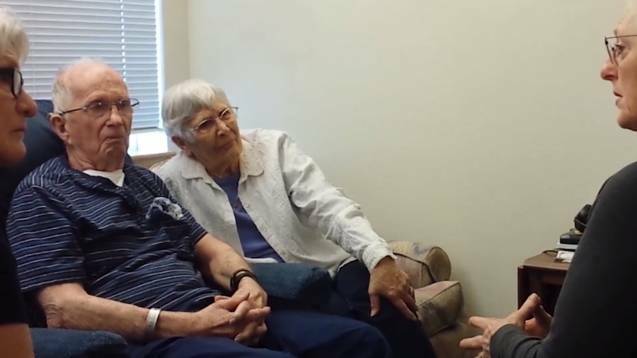 PORTLAND, Ore. — A documentary called “Living & Dying: A Love Story” details the decision of an elderly husband and wife to die together under Oregon’s controversial assisted suicide law, a report that was cheered by end-of-life “choice” proponents and lamented by pro-life advocates. Charlie and Francie Emerick had been happily married for 66 years. Charlie had served as a medical missionary in India and an ear, nose and throat doctor at Kaiser Permanente Hospital in the Portland area. Francie had assisted with public relations at the hospital in India where her husband helped the sick. But at 87 and 88 years old, as their own health was failing, they decided to end their lives—at the same time. Charlie was diagnosed with Parkinson’s disease in 2012, and also had battled prostate cancer and heart ailments. His wife Francie had been diagnosed with Lymphoma in 2009 and also had a heart attack that same year. In the documentary, Francie discussed with her daughters what the notices should say following their death. “One of the things that we are planning to do this afternoon is write the messaging that’s going to go out to people after you die,” one daughter, Jerilyn, explained. “And this is what I would like it to say: After long illnesses—Dad with Parkinson’s and Mom with heart disease—they died peacefully in their sleep,” the other daughter, Sher, said. “Is that you want all the people we’ve identified … you want everyone to get that message?” Jerilyn asked. Francie, pondering the matter, then said that she doesn’t think it would be honest to say that she and Charlie died from long illnesses. Jerilyn suggested that the notice simply state that they “struggled for a long time” with Parkinson’s and heart ailments, and Sher said it could be worded to say that “not surprisingly” one parent died shortly after the other. Last April, the Emericks held a gathering with their children and grandchildren to be together one last time and to say goodbye. A week later, after following the requirements of Oregon’s so-called Death With Dignity Act, they ingested the fatal medicine, held hands, and died. Francie died within 15 minutes and her husband died one hour later. The documentary shows the Emerick’s bodies being removed from the apartment on stretchers while family members wipe away tears. According to Kaiser Health News, the Emericks donated their bodies to research. “Just know that you’re on your own journeys now, but you’re going to meet up over there,” Derianna Mooney, a volunteer with End of Life Choices Oregon, told the couple before they died. While some have characterized the Emerick’s story as “beautiful,” others have expressed deep concern.